MinersAdvantage is a re-imagining of my previous mod 'SuperMiner'. It is a rewrite from the ground up that aims to solve all previous issues and to add additional features. My original inspiration was fueled by several well known mods; namely - VeinMiner, TreeCapitator, AutoSwitch & NEI's Magent Mode. My thanks and admiration still go out to their respective developers and I shall be forever grateful to them for inspiring me to develop my own mods. Although the components and features list are, near enough, identical to SuperMiner, I felt that rather than releasing a new version, it warranted a complete name change due to the fact that only around 5% of the original code remains. MAJOR improvements in the way that blocks are harvested have been made in order to cure a very nasty bug that exists in SuperMiner which causes the client and/or server to crash. 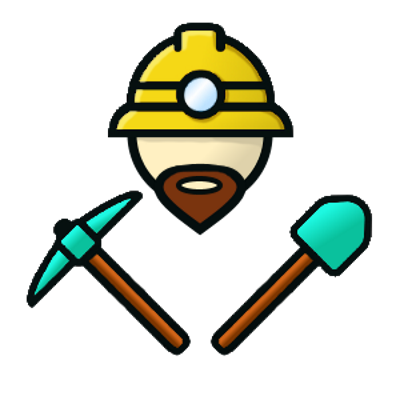 Due to the way SuperMiner was developed, it wasn't possible to solve the issue without a complete rewriting of the base code. There were also other areas that had become stagnant and difficult to improve upon. During this re-development I took the opportunity to add some additional features that were either on my personal todo list or had been suggested by some of SuperMiners users. Customisable 'Blocks per Tick' and 'Tick Delay' options that allow you to speed up or slow down the harvesting of blocks. Improvements to the block harvesting algorithms have allowed me to add particle effects that appear while blocks are being harvested, giving you the added visual indication that MinersAdvantage is still processing an area. 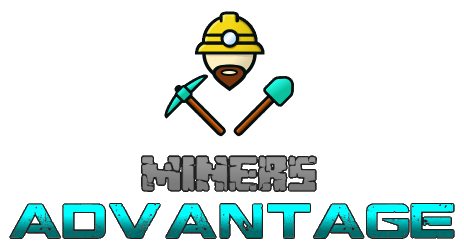 Huge multiplayer related improvements have been made to ensure that MinersAdvantage is much more server friendly than SuperMiner ever was. This means that you can use all of MinerAdvantages components without waiting for Minecraft to recover from the dreadful lag spikes that were present with SuperMiner. It also means that all MinerAdvantages components can be used simultaneously and executed multiple times without having to wait for one process to finish first. If you want to dig a series of 2x1x64 sized strip mine with Shaftanation in the quickest time possible, MinerAdvantages will allow you to do it. These worker processes have been designed to respect which player initiated which component, ensuring a server will never get one area confused with another. A players settings are synchronized with the server to ensure that custom options are respected per player and not confused with another players settings. For example, if you disabled the Captivation component within the server config, all connected players would have Captivation disabled and would be unable to enable it. The re-development process has taken much longer than anticipated due to unforeseen IRL circumstances. I was on track and hoping to have released v1 of MinersAdvantage back in November, but my daughter was taken into hospital on the 19th of October 2017 with suspected diabetes. I spent five days in hospital with her ( day and night ) before we were allowed to return home again. She was diagnosed with Type 1 Diabetes and is now totally dependent on Insulin. The next few months were spent learning all we could about managing her diabetes; carb counting, the effects of and how to treat high and low blood sugars, dealing with mood swings and numerous other things. We have had to buy quite a few gadgets and things to make life easier and my wife has done a wonderful job of creating low carb recipes, a blood sugar/insulin dose recording spreadsheet and various other time saving bits and bobs. It's been a difficult time for us all mentally, emotionally and physically. Her being so young ( 3 years at time of diagnosis ) has also had it's issues with regards to what she eats, dealing with finger pricking and injections, having to treat highs or lows in the night, and trying to keep her calm and content. She has now been fitted with an Insulin Pump which is slowly making life a little easier, but comes with more learning and tweaking. So far her sugar levels have been so much better. My wife and I are absolutely shattered and could do with a break from it all, but that's not going to happen for many years; not until our daughter is able to manage her diabetes herself. Until then we must persevere and be strong for our little princess. It has become a full time job for my wife, but it is taking it's toll on her. I help out as much as I can when I'm not at work, but I do wish I could be with them 24 hours a day. My work life is being affected and I have had to have a lot of time off for hospital visits, illness ( both myself and family ) and various other reasons. My manager has been great and very supportive about it all, but the bosses higher up are starting to get a bit annoyed with it and have started questioning my commitment to the company. I don't need that added stress on top of the already heavy emotional baggage I'm carrying. So I guess what I'm really trying to say here is, if you find an issue with MinersAdvantage, please be patient with me. I will get around to looking into any issues and, will do my best to reply to each and every message. Cropination - makes Farming easier and the Hoe more useful. Excavation - Digs a big hole by breaking connected blocks, of the same type, within the specified range. Illumination - Automatically lights up the area while you mine. Lumbination - Chop down entire trees. Shaftanation - Dig yourself a mine shaft. Substitution - Automatically select the correct tool while you mine. Veination - Mine an entire vein of ore.
How do I install your mod? Place the mod jar file into the mods folder of your Minecraft installation. NOTE: MinersAdvantage must be installed on both Client and Server in order to work correctly. Can I use your mod within my mod pack? Ensure you provide a link to MinerAdvantage. You mustn't make any money off of your mod pack. Be sure to remove these mods from your pack if I specifically request it. Where can I find the source code for your mod? The source is avaliable under GNU Lesser General Public License v3.0 and can be found within my GitHub repository. How do I compile the Source? How do I report an issue or contribute to the project? I'm really looking forward to updating your mod so that it works on the server 1.12.2 without fail. At the moment I can not use the latest version, because the client does not allow to the server for some strange reason. Your mod is wonderful and replaces most of the minor tweaks! How do you use this mod!? its not letting me use it i cant mine anything, I'm new to mods so could you please help me on how to use the mod please? Does it apply durability/hunger like other veinminers and such? I love that it's all-in-one, but I find that a bit gamebreaking if there's no tool or hunger cost. Otherwise I might just stick with the tool switcher. ...actually, for most of these features an optional hunger cost or similar might be nice. Stuff you wouldn't think of if it was standalone. It was designed to react the same as if you'd mined each block manually, so hunger and all else would be respected. However I'm not 100% sure if this is still the case due to changes made to the harvesting process. I will make a note to look into it and fix it if I have broken it. People keep stealing my "That'd be a good first mod" ideas. Haha. Hope everything is going OK as well. Appreciate this mod very much. Is it possible to edit cropinator to harvest and replant IC2 industrial hemp? Thank you. It might take me a while to get around to it, but I shall look into IC2 support. Hi DuelMonster, I check every day to see some update, but I read the backstory so how is your family? Is everything ok? How are you? Hi David, thank you for asking. Life is a constant battle to keep our daughter level at the moment, but we are coping. I have been working on new MA features on and off over the last few months when I can fit the time in between work and family life. I was on route to a new release a couple of weeks ago until I found that one of the new features failed to work during testing and I've not yet got back to it. Thanks for the link to track progress. I hope your daughter get better soon somehow. Hello, I was wondering for things like Shaftanation say you are using a iron pick and it digs out the shaft but hits a material that needed diamond level, does it just leave it alone and doesn't mine it or does it mine it and you just lose it? MinersAdvantage will respect the tools harvest level. It does a check to ensure that the current tool can harvest the block before it is broken and moves on the next block if it can't. Hi, Thanks a lot for fixing the bug. Now it works nice, but I notice something, when I try to adjust the config in the game, it saves but not works until I turn off the game and starts again, then my config reloads with the adjustments that I made. Somehow, It caches the previus config and the new config will only works if I reboot the game. I am speaking of the 1.10.2 release 1.10.2-1.1.19.210. I am aware of this issue. Looks like I messed something up before releasing yestersay. I'll get a fix out ASAP. My friends, thanks again, it really working, but another problem happens. When we try to break some block by hand, it turns a ghost block, the block desapears but it still there, Only happens with empty hand. If in my hand I have some block and break another block it works normal. But with empty hand if I try to break it turns into a ghost block. OK, thanks David, I'll look into this as well. Hi, I am having a problem with this mod on the version 1.10.2 the MinersAdvantage-1.10.2-1.1.18.199.jar, when the mod is on the game, I cant open chests with empty hands, and I cant access any gui on the game like, furnace gui and crafting table gui. I can access with some item in hand, but with empty hands I cant. Please could you fix this problem. I really like this mod. Well the sure is a strange issue... I'm not sure what would cause this as I'm not touching anything in that respect. I'll add it to my list of things to look into. Thanks for that, if you want I can send you a video of that, I even tried all the others versions released for 1.10.2, I had the same problem with all of th, I tried too using only the mod alone, without any other mods, and the problem continues. About the versions of 1.11.2 and 1.12.2 its perfect. The best mod ever! But I really need it at the moment for 1.10.2 because of my channel on youtube that I am playing skyfactory 3 with superminer. And I want to use miners advantage. So when you look into, please let me know! Thanks a lot for your help!